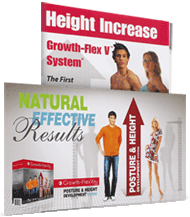 ﻿	Growing Taller | Height Increase Testimonials | Natural Body Growth System. 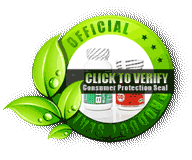 Quality Control - Product Safety: Growth-FlexV® Pro System is made in Canada. To ensure the highest standards of quality, all of our products are manufactured in factories that follow Health Department Regulations. Please note that we do not use (Growth Hormones) in our products. − Before we place any product on the market, we assure it's quality, safety and effectiveness! Open Before & After Results. We appreciate having awesome customers like you! 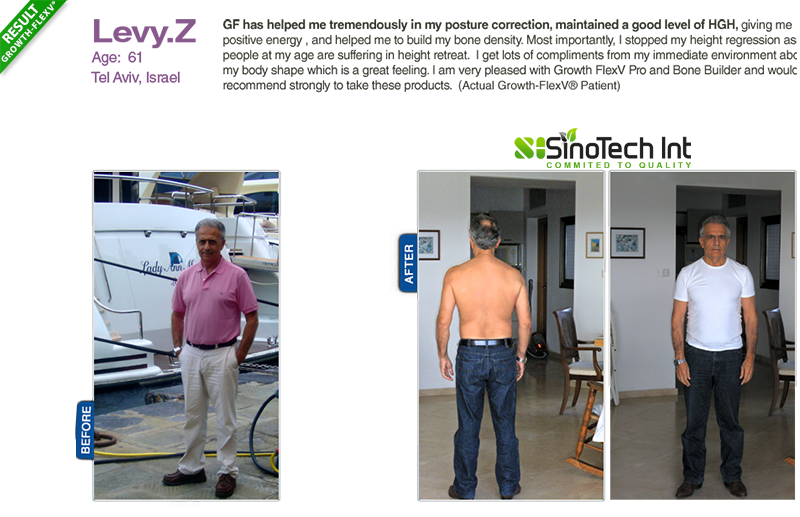 Happy Customers have reported*: Improved height, better posture and satisfaction. The below list of testimonials is an example of results achieved by our clients. 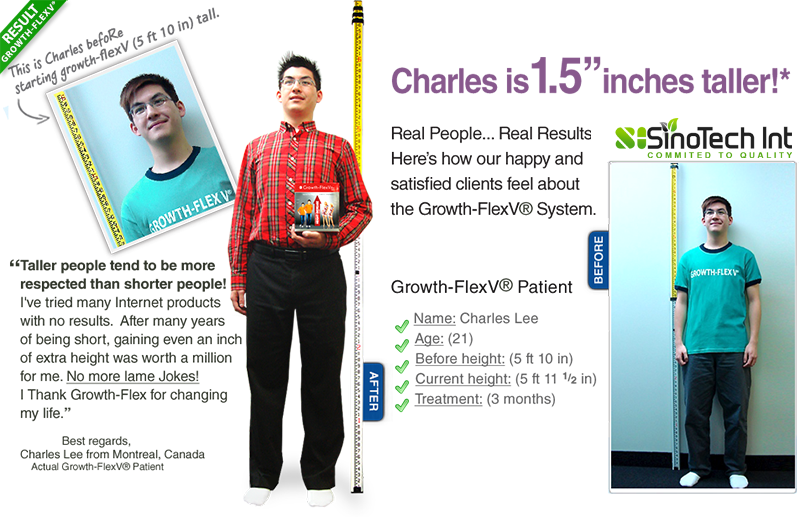 Happy customers who have improved their height and posture by inches. All customers received compensation for their testimonial. Results not typical. Individual results may vary. The results below are gathered from surveys of Growth-FlexV® Pro real users. All e-mail addresses listed in this page will be protected by an (X) mark. I am Terence from Malaysia. I have planned to buy growth flex pills since I saw my friend has obviously grown taller 1 month after taking the pills.Anyway,I have no idea about how to make the payment. Also,3 months supply might be too expensive for me,may I know if I can get any discount for 2 months supply? Last question,I am not sure if my friend was purchasing the pills from another company because he just told me he was buying grow-flex from Canada,I am not sure if there are other companies has similar product name. After a month of treatment, I saw some differences. When I woke up the morning, I feel much taller than at usual , and it looks like it do this more and more each morning. But, I did two days of weight trainning and now I didn't get the same feeling, so, I would like to know if it was a good sign and a sign that happened when the growth started. + a very good diet) could you answer to all please! have begun using it for last 7 days. products(India)..and cite my case in advertisements. 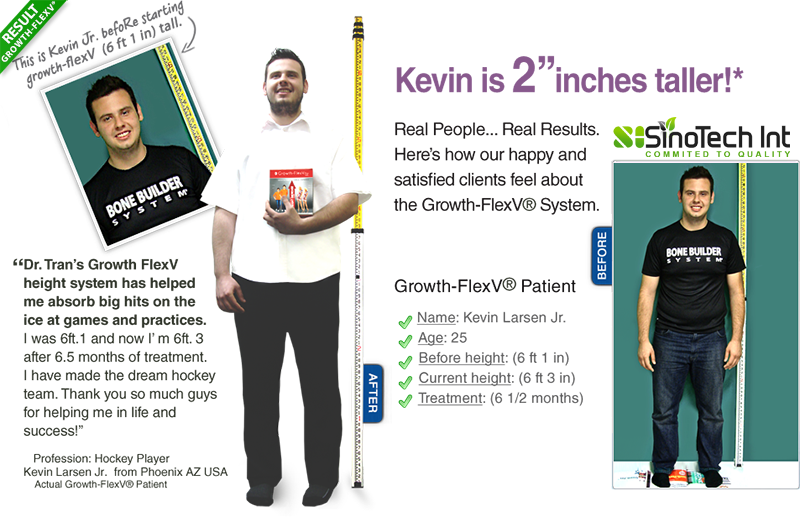 Hi there... i will be trying your product on the next few months and i really believe it is going to work, i have friends that already used and the results were wonderful. After i finish my treatment, if everytthing goes well i would like to start talking with you to bring the product to brazil, i am pretty sure it will sell a lot here as soon as we have heaps short people and people in brazil cares a lot about fitness and beauty. I dont know how to preceed but my idea is to sell it using a web site. Please give me directions about percentages, and how can we work together. Delegacion Gutavo A Madero Mexico, D.F. Once again thank you for your package and your service! I did receive a refund, thank you. Can I ask why I was unable to purchase your product? Are you out of supply? I am happy to find out that the first item I ordered off the internet was actually not a scam. I am using heightboosting system for 4 month already . I use to measure myselve every week and couple of days ago noticed 2 cm of growth[i use to be 1.63. ].I also do make a back stretching exercises . Because relying on the testimonials of your product i expected to grow a little bit more. It would be my pleasure. Only for my privacy please post the message as anounomous. so here is what i would like to be posted, and please keep my email address anounmous when your posting the message. Thank you. Thank you very much for your response, i will have a great time growing and i know already after 3 weeks that your dietary, growth system and supplement is already going to be a boost for me, one way or another, thanks alot guys. to know how I could get the bonus for my first order. 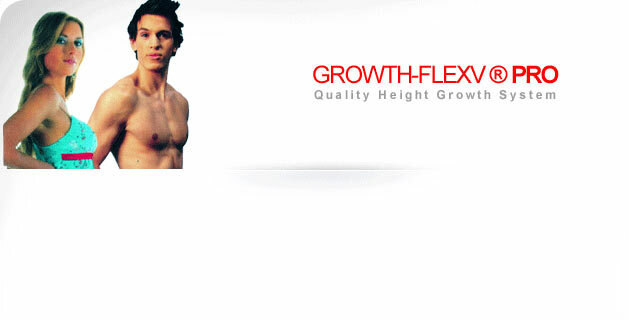 This is to inform you that i have placed a new order today for a one month supply of Growth FlexV system. I have personally tried the product myself and it has helped boost my height from 5'5 to 5'7 which is why i m now buying it for a friend. I would appreciate if you can send me a confirmation email regarding my order. I turned 18 in the start of august. I've took like 7/8 cm in 3 months of treatment. inches. I feel better when I walk, in the sense, would say that I am bigger. I would like to know some questions and comments about it. 1) Did I got normal or fused bones? 1/4 of inches per month. the course of growth flex I had previously ordered. I am Farhod, do you remember me? This is my another e-mail adress. I want to express my gratitude for sending Growth Flex. I really appreciate it. You can't realise how I'm happy. I got the preparate, and this is one of my best days of my life. Thanks a lot. By the way, I wanted to ask you, I read the letter that was sent to me with this product. And there was written something about free bonus exercises. IS that true? I can get free advises or something like that? I'm looking forward to get a message from you. After using your product for only one month, I noticed an inch in height increase, better muscle recovery, faster hair growth, better mood overall, and better digestive track function. Overall, it seemed to clear up problems left over from a low T4 thyroid, and ulcers. I definately feel this product turned back the hands of time, so to say, offering me the feeling of youth and overall wellbeing! regularly lifting weights.The increased HGH levels results in reaching your fitness goals in minimum time. I started growth flex about 6 months ago and grew an astounding 2 inches in the late end of my growth spurt. No matter who tells you what this is a safe and effective package and the longer you take it the better the effects are. I have followed instructions well and took it regularly. I have never felt better. I feel fit, and even somewhat stronger ever since. My workout strength has gone and my workouts have been more effective. I have been really thankful for this package and Im thinking of even starting up again to gain an inch or two more. I feel so happy. * Before Height: 5' 7"
* After Height: 5' 8"
My name is Ray. I have been taking Growth flex system for 3 months now. I feel that the supplement is not only a height increse product but an over all body stimulant. I feel really good through out the day, full of energy and always looking forward to the end of the day to get my exercise in. I have only grown an inch but i still have another month of the supplement to go and i hope i can turn that inch into 2 or 3. This mail I am writing to you to say A BIG THANKS to you for helping me out to get my order. If you had not intervened, I dont think it would have been possible to get my order. You can just imagine Sir I ordered back in September and was thinking I would now never get my order as also shipping department was a bit annoyed as they said they sent two orders to me....but luckily due to your intervention and timely followups, I have finally got it. Dear Sir, as I did not get your product in time. I started another height therapy program hxxxxt.com from our country India only and so I dont think that I should take Growth Flex at the same time...So I will not take it for two or three months. I dont think the Growth Flex gets expire by that time. But in the end THANK YOU SSSSOOOOO MUCH for understanding and helping a harried customer. 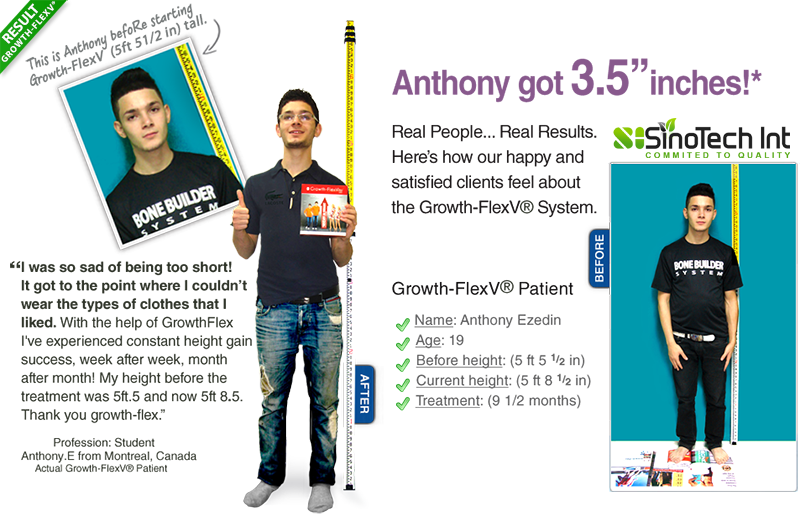 Hi its ben amushan let me tell you that first of all sinotech is the best company ive seen it is truly that good. and thanks to Danny becasue he has been there with me giving me answers and alsways reply very quickly while other growth companies dont even reply at all now what does that tell you. i just love grow flex soooo much!! The first week i used it i saw and increase in muscle and you know what i even got a six pzc with the right exercises from the bonus they give you whn ordering.Lastly i was 5 ft 6 and after using it for a month i grew two inches to 5 ft 8 and i took in on a scale and now people really know the difference. I also want people to know this height can vary it can take people just months to become 2-3 and some up to 4 months so i will advise you to stick at it trust me you will grow and need any help ask the assitants they are sooo helpful and always reply no matter what! 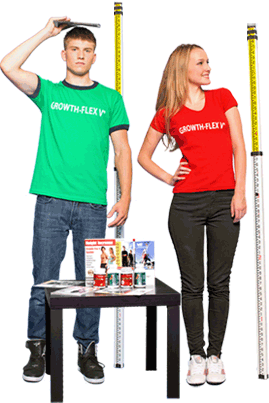 You need grow-flex because size matters!! ps. LoL sorry can't help but say i ove you GUYS!!! Thank you for sharing your success with others! The European Academy of Quality of Life.